CVFolk stages a reunion ‘rare auld time’ for 4 former members of celebrated local folk band. Four ex-members of The Oddsods have joined forces under a new name to play a lively set of popular songs and tunes mainly from the Irish and Scots traditions. The Boys of Ball Hill are to headline the forthcoming ‘CVFolk presents…’ afternoon concert in the Albany Theatre Studio on Sunday 14th April. Bob Brooker on bouzouki and banjo, Nigel Ward on fiddle, Pete Willow on guitar, and the voice of The Oddsods, Simon Lapworth on melodeon and bodhran all played a key part in establishing their old band’s reputation for performing ‘music for a rare auld time’. The 20-year history of The Oddsods saw various line-up changes since it was formed in the early 1990s but this forthcoming appearance will only be the third time that this particular line-up has appeared in public. Simon and Bob were founder members of the band, but Bob had left by the time Pete and Nigel joined. The Oddsods played their final gig in 2008, but a year later, Pete and Nigel teamed up with Bob to form Sly Old Dogs which still performs regularly and hosts monthly music sessions at The Barn in Willey, near Rugby. In its lifetime, The Oddsods has featured several other multi-talented musicians including Richard ‘Doc’ Rider on guitar, euphonium and whistles, Paul Kenny on guitar, mandolin and bodhran, Michael Mahon on banjo, Louisa Davies on fiddle, and the late Mick Shaler on fiddle. Glory days! 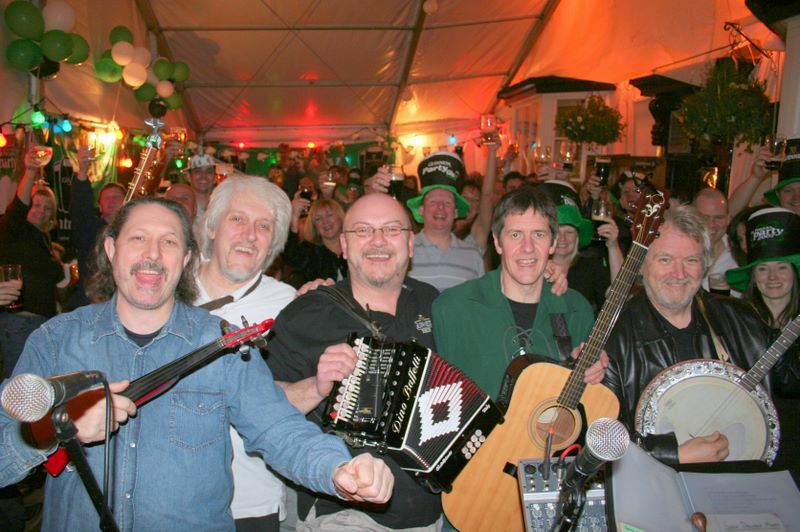 Earlier Oddsods line-up celebrating St.Patrick’s night – L-R: Mick Shaler, Pete Willow, Simon Lapworth, Richard Rider and Paul Kenny. 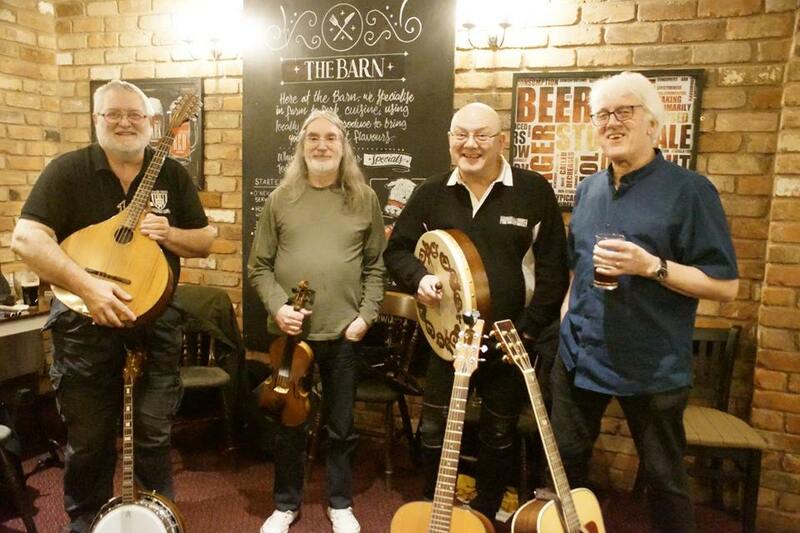 Members were approached by Rugby’s Wurzel Bush Folk Club to play an Oddsods reunion gig last February and Simon, Bob, Nigel and Pete agreed to form a ‘scratch’ version of the band but under a new name – The Boys of Ball Hill. They also played a few warm-up numbers together during the January Sly Old Dogs session and went down a storm at both events. The concert also features one of the Wurzel Bush residents, singer-guitarist Craig Sunderland and a return appearance by local duo Poacher’s Pocket who got a great response when they performed at CVFolk’s debut Albany Theatre show last October. The music starts at 4pm and admission is free although there will be a jug collection for banknotes!